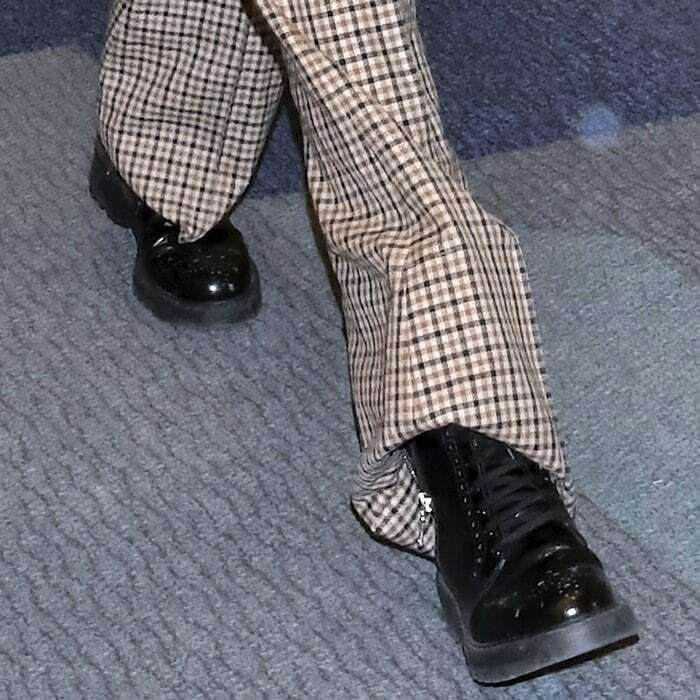 Gigi Hadid showed off her brogue-inspired boots while arriving to the Tokyo airport in Japan on Friday on her way back to the United States. She made a short trip to the Japanese capital to attend an event with Maybelline, the American beauty brand for which she serves as spokeswoman. The 22-year-old model looked retro chic in patterned bell-bottom pants paired with a ‘Teddy’ stretch cotton-trimmed faux shearling bomber jacket from House of Fluff that you can purchase at Net-A-Porter for $650. Gigi, who was recently announced as the new face of Reebok, accessorized with a diamond ring and round sunglasses. She finished off her outfit with leather ankle boots from Prada that you can purchase at Net-A-Porter for $850. 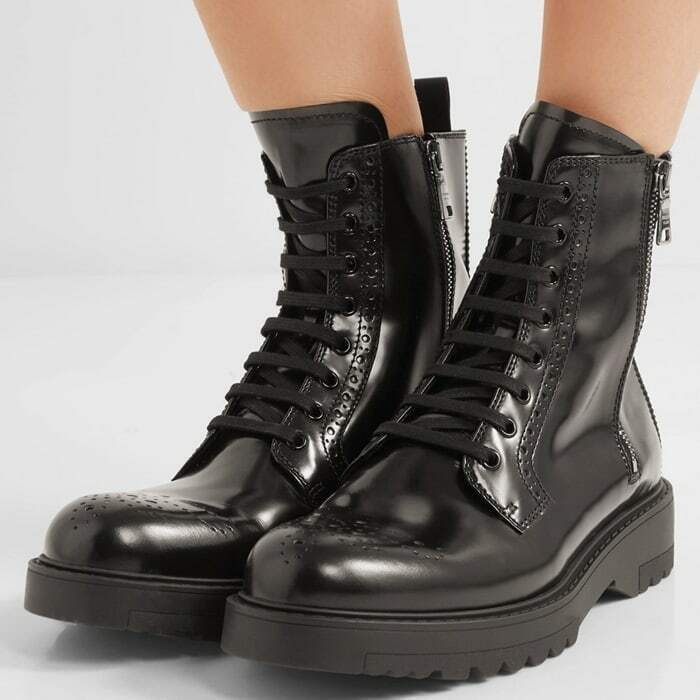 Her boots from the Italian luxury fashion house are perforated with brogue-inspired patterns at the round toe. 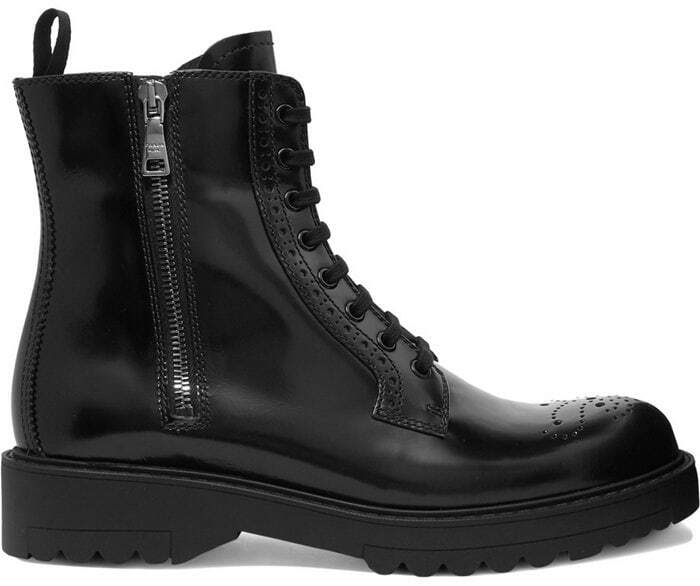 Set on a chunky sole, this lightly glossed black leather pair has silver zips at the sides to ensure they slip on and off with ease. Just one day earlier, Gigi arrived at the same airport in Prada nylon gabardine pants (available at Orchard Mile) and a hooded rubber-appliquéd color-block gabardine jacket from the same brand (available at Net-A-Porter). She also rocked $210 rib knit polyester knee-high socks in grey (available at Ssense) and Alain Mikli sunglasses. 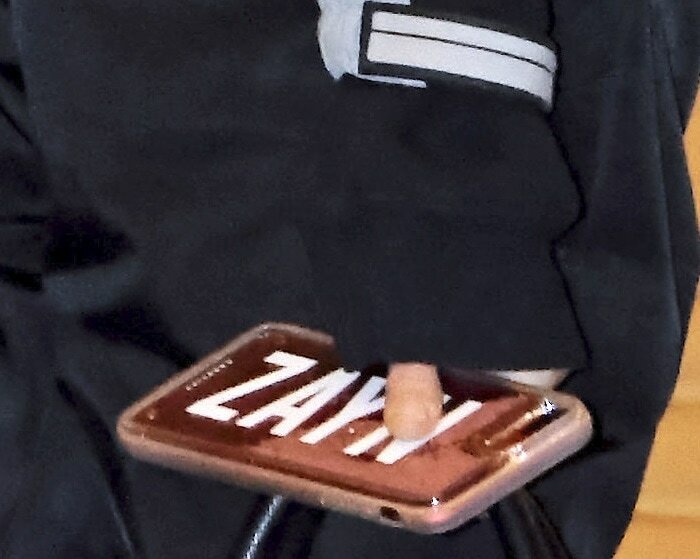 Gigi toted an iPhone case featuring her boyfriend’s name and a duffel bag from Prada.